This work was performed twice on the day of its first performance (7 March 2001). 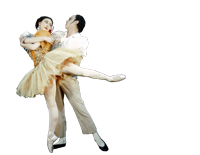 The first performance (at a Schools Matinee) is described as 'The 1st performance by The Royal Ballet at the Royal Opera House'. The evening performance is described as the World Premiere.